This morning the Cystic Fibrosis Gene Therapy Consortium (GTC) announced the results of clinical trial in 140 patients with cystic fibrosis, which demonstrate the potential for gene therapy to slow – and potentially halt – the decline of lung function in people with the disorder. It is a success that is built on 25 years of research, in which studies in animals have played a crucial role. Cystic fibrosis is one of the most commonly inherited diseases, affecting about one in every four thousand children born in the USA, and is caused by mutations in the cystic fibrosis transmembrane conductance regulator (CFTR) gene. The CFTR gene produces a channel that allows the transport of chloride ions across membranes in the body, and the many mutations identified in cystic fibrosis sufferers either reduce the activity of the channel or eliminate it entirely. This defect in chloride ion transport leads to defects in several major organs including the lungs, digestive system, pancreas, and liver. While the severity of the disease and the number of organs affected varies considerably, cystic fibrosis patients often ultimately require lung transplant s, and too many still die early in their 20’s and 30’s as the disease progresses. In a paper published in Lancet Respiratory Medicine today (1), the GTG members led by Professor Eric Alton of Imperial College London compared monthly delivery to the airway of a non-viral plasmid vector containing the CFTR gene in the liposome complex pGM160/GL67A using a nebuliser with a placebo group who received saline solution via the nebuliser. They reported stabilisation of lung function in the pGM169/GL67A group compared with a decline in the placebo group after a year. This is the first time that gene therapy has been shown to safely stabilise the disease, and while the difference between the treated and control group was modest, and the therapy is not yet ready to go into clinical use, it provides a sound bases for further development and improvement. Further clinical studies are needed before we can say that gene therapy is a viable clinical treatment. But this is an encouraging development which demonstrates proof of concept. So how did animal research pave the way for this trial? Following the identification of the CFTR gene in 1989 scientists sought to create animal models of cystic fibrosis with which to study the disease, and since the early 1990’s more than a dozen mouse models of cystic fibrosis have been created. In some of these the CFTR gene has been “knocked out”, in other words completely removed, but in others the mutations found in human cystic fibrosis that result in a defective channel have been introduced. These mouse models show many of the defects seen in human cystic fibrosis patients and over the past few years have yielded important new information about cystic fibrosis, and in 1993 Professor Alton and colleagues demonstrated that it is possible to deliver a working copy of the CFTR gene using liposomes to the lungs of CFTR knockout mice and correct some of the deficiencies observed. • A lipid-like carrier that can form a fatty sphere around the DNA vector to so that it can cross the lipid membrane of cells in the lung, as “naked” DNA will not do this efficiently. • A nebuliser device that produces an aerosol of the gene transfer agent so that it can be inhaled into the lungs of the patient. Several early attempts to use gene therapy using viral vectors to deliver the working copy of the CFTR gene to patients failed because the immune response rapidly neutralised the adenoviral vector (see this post for more information on challenges using adenoviral vectors), and while attempts to use non-viral vectors were more promising, it was found that they caused a mild inflammation in most patients, which would make then unsuitable for long term use. As reported in a paper published in 2008 the GTC members developed and assessed in mice a series of non-viral DNA vectors, repeatedly modifying them and testing their ability to both drive CFTR gene expression in the lungs and avoid inducing inflammation. They finally hit on a vector – named pGM169 – which fulfilled both key criteria. Earlier the consortium had undertaken a study to determine which carrier molecule to use in their non-viral gene transfer agent (GTA). To do this they assessed 3 GTA’s, each consisting of a lipid like molecule that could form a sphere around the non-viral DNA vector; either the 25 kDa-branched polyethyleneimine (PEI), the cationic liposome GL67A, or as a compacted DNA nanoparticle formulated with polyethylene glycol-substituted lysine 30-mer. Because there are significant differences in airway physiology between mouse and human they carried out this study in sheep, whose lung physiology more closely matches that of humans. The study identified the cationic liposome GL67A as the most promising candidate, resulting in robust expression of the CFTR transgene in the sheep lungs. It now remained to bring the DNA vector and carrier together. In a 2013 publication the consortium reported that repeated aerosol doses of pGM169/GL67A to sheep over a 32 week period were safe and induced expression of the CFTR transgene in the sheep lungs, although the level of expression varied between individuals (this variation was also observed in human CF patients in the clinical trial reported today). A final study, this time in mice, assessed the suitability of the Trudell AeroEclipse II nebuliser as a device to create stable pGM169/GL67A aerosols, finding that it did so in a reproducible fashion. When aerosolized to the mouse lung, the new pGM169/GL67A formulation was capable of directing persistent CFTR transgene expression for at least 2 months, with minimal inflammation. These studies provided the evidence to support the gene delivery system and dosage strategy used in the clinical trial reported today. The trial results announced today are an important accomplishment, but they mark a beginning rather than the end for Cystic Fibrosis gene therapy. It will be necessary to improve the efficiency of the therapy before it can enter widespread clinical use. 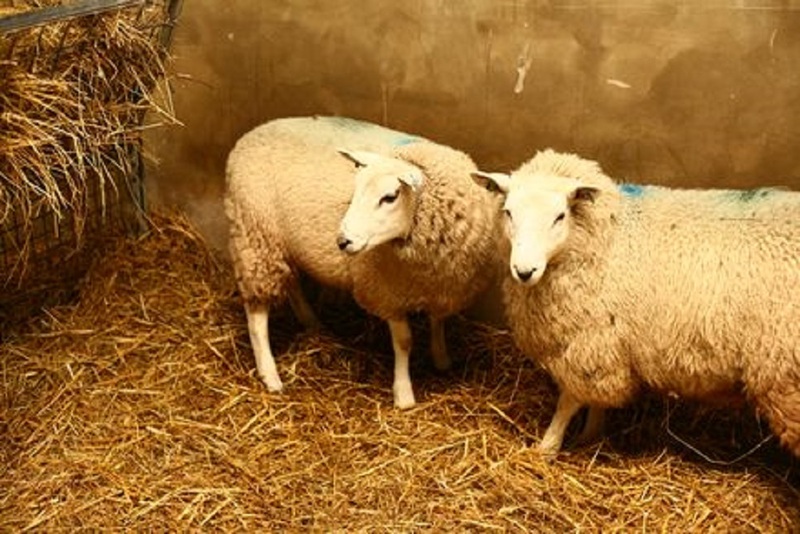 Animal research will certainly play an important part in this work, notably the observation that the efficiency of CFTR gene delivery using this strategy was varied between individuals in both sheep and humans indicates that sheep are a good model in which to assess changes to improve the consistency and effectiveness of the gene therapy. If you would like to know more about this cystic fibrosis gene therapy clinical trial you can watch two videos recorded at a meeting for cystic fibrosis patients at ICL on the Cystic Fibrosis Trust website. Posted on July 3, 2015 July 3, 2015 by EditorPosted in News, Science NewsTagged animal research, animal testing, CFTR gene, cystic fibrosis, gene therapy, mouse, sheep. Previous Previous post: Setting the record straight: Environmental enrichment in animal research.